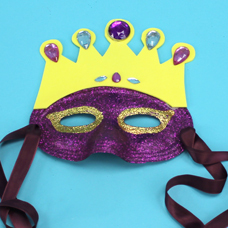 Apply glitter to a plastic mask and add sparkling embellishments to complete the look for a royal queen! Gold Glitter Glue 8 oz. Remove the plastic strap attached to the mask. 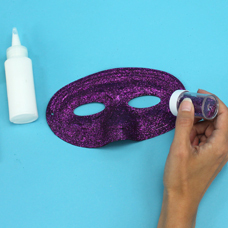 Apply glue with a foam sponge brush onto the mask then sprinkle purple glitter on top. Set aside to dry. 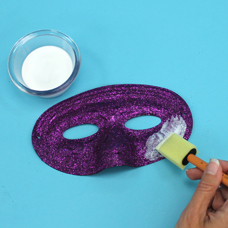 Once dry, apply a coat of decoupage glue on top of the glittered mask. 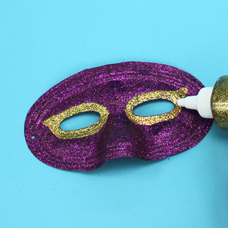 This will act as a seal and help prevent the glitter from falling off the mask. Set aside to dry. 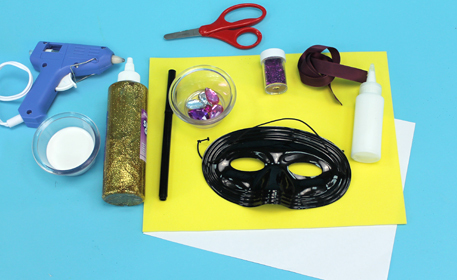 Once dry, if desired, decorate the mask with glitter glue accents. We used gold glitter glue around the eyes for a fun addition. 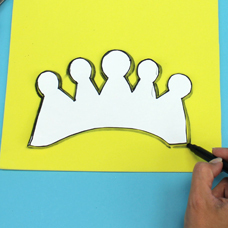 Trace a crown shape on a yellow foam sheet. We have included a template you can use by clicking the “template” button under the finished picture of this project. 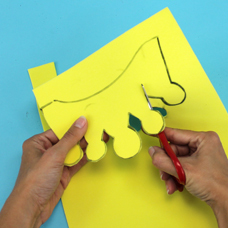 Cut out the template shape. 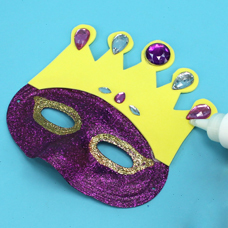 Once the glittered mask is dry, glue the crown on the top of the mask. 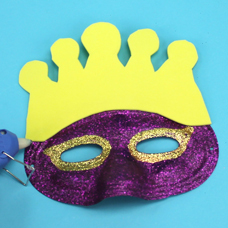 Tip: as this mask is plastic, we suggest asking an adult to glue any embellishments on using a hot glue gun. Embellish the crown with large Acrylic Jewels. 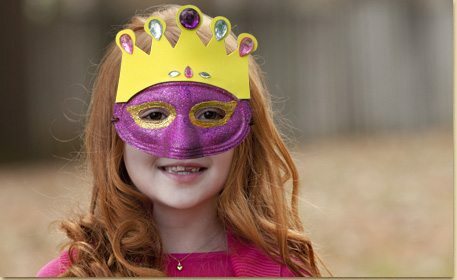 To wear, thread 2 pieces of purple ribbon in the mask and tie together to wear.